Meet the Unstoppable Betina Roberts. 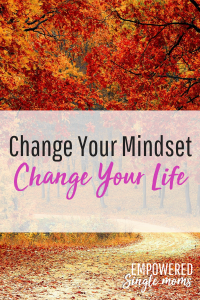 Change your mindset and change your life is a belief at the core of Betina Roberts’ worldview. This interview is a part of a series, Life Lessons You Want to Know from Successful Single Moms. Betina Roberts is an example and an inspiration to single mothers who are looking for more out of their lives. Betina started her single-mom journey beginning both pregnancies, and has learned how to overcome many challenges she’s faced with her unstoppable mentality. I was 24 years old and my sons were two and one when I acknowledged my state of being. I was unhappy and lonely. I hadn’t worked out in two years, so my body didn’t reflect the Betina I knew. Also, it didn’t matter that I was surrounded by my children, immediate family, and even coworkers. Routines consumed me. My life was predictable. I began to understand my inner conflict stemmed from the lack of variety in my life. I realized I needed more out of life, there was more available to me, and there was more for me to do. What made this time even more challenging was to have to go through this uncovering process while still living my life with all the responsibilities that I had. I couldn’t separate the two and figure out exactly what I needed. Worse, I was living check to check. One thing that really bothered me was not being able to go out to eat. I didn’t have any recreational money, so expanding my so-called “varieties” in life didn’t happen–at least not right away. I believe every challenge gives us an opportunity to learn and grow. What important life lessons did you learn from that time in your life? Take time to focus on self-care and always work on improving yourself. I didn’t realize right away how imbalanced my life was. With so many demands on my life, it was easy to let myself go–sacrifice my needs, focus on caring for my children, and even prioritize my job over my time with my kids. I had to slow down, become more aware, and make intentional moves to go after the necessary changes I wanted to experience. I “showed up” for what I wanted. I operated from a place of power because I knew I was in control! I knew that nothing would change if I didn’t set a standard that I would live my life from. And because of that, in less than two years, I decided to workout again at home using DVDs. 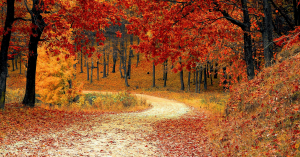 Jogging (using a double jogging stroller) became an outdoor activity for my children and me. 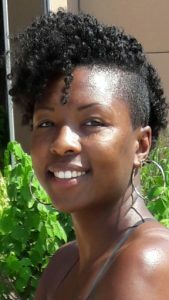 I built a reputation at work that led to me being chosen to attend a conference (where I met my life coach/mentor of over five years now). I discontinued my cable, which forced me to get out the house more. I found a realtor and purchased my home. I joined a travel club and took some trips (I have been on more than seventeen vacations in five years). I dated two guys! I’m currently working a full-time job while I build my two businesses on the side. As a single parent, having the experiences of my income stopping because of an unexpected, stress-related injury and then losing a total of four incomes (each my main sources) on separate occasions, were eye-openers for me. Now, my perspective on money has changed and there is a strong need for multiple residual cash flows—not only my life depends on it, but my two kids’ lives also. Because of these specific events that left me without income, my message to the world became clearer and I was able to narrow down my purpose and the way I’m able to contribute in my lifetime. I’ve made a drastic change in career moves after experiencing a stress-related neck injury at work. That injury forced me to see that my health is way more important than a toxic environment and dealing with office politics. Now I’ve de-stressed and have a job without any stress factors! The beginning stages of separation with children can be scary, overwhelming, and very emotional. So if you must vent, give yourself five minutes–tops–to cry it out and feel pissed. Then, change your thinking and move the way you want to feel, which is amazing (and takes practice)! Understand that you cannot operate and improve your quality of life by holding on to dead weight from your recently ended relationship. Don’t focus on who/what you don’t have because you’ll find yourself in misery and in drama. That spreads outward to everyone around you. Instead, focus on the new life that’s ahead of you. Next, you have to change your mindset from having help from the father to doing everything that needs to be done solo. You rely on you. It’s possible. There are so many mothers who are living examples of being successful alone, so get rid of any excuses you may have. Before you even start, there’s no time to waste on complaining, feeling guilty, or being pissed off. Don’t give any more of your time, effort, and energy to the thing that caused you pain! Focus on everything you have. I concentrated on my feelings of joy for having my sons in my life. I received the first visit from my sons’ father two weeks after giving birth to my oldest son, and I simply told him “thank you,” because the fact is, without him, TODAY I wouldn’t have my children. Once you change your perspective, you realize being a single mom isn’t hard, it’s just different. It’s only hard if you’re comparing it to a co-parenting household. Also, never compare yourself to anyone else. Create and live the life you desire. I definitely recommend, “Abundance Now: Amplify Your Life & Achieve Prosperity Today,” by Lisa Nichols and Janet Switzer! Lisa is a single mother as well and her story is so moving and incredible! At her lowest, she couldn’t afford diapers for her infant son and had to wrap him in a towel for two days. Now, she’s a multimillionaire and a living example that it’s not where you started that counts; it’s how you finish! What quote inspires you and why? I’ve internalized these words because they speak to what I want out of life and underline the need for my willpower to be relentless/unstoppable toward my goals. Negativity/nothingness is always available; that lets me know everything gets reduced to that as a starting point. It takes no effort to be at the bottom. I always have to find strength to get things done in my favor. Otherwise, the pain from what I don’t want will definitely be present and way worse! What question do you wish I would have asked and what is the answer? What are your standards for your life as an individual? As a single mom? As a mother? My standards are to never allow any obstacles to get in my way. Life comes with challenges regardless of who you are. It is my responsibility to be happy, enjoy my life, and create everything I want for myself so that I can feel fulfilled and whole. I don’t like being controlled and limited in what I can do. I want to create an impact in the world and share what I represent in order to transform what’s possible! As a single mom, I want to represent a healthy and active lifestyle, be unstoppable in my decisions, look fabulous when I present myself to the world, exude confidence in my actions and speech, and live abundantly with wealth for generations to come! As a mother, I want to be unconditionally loving, understanding toward my kids, balanced, fun, and instill valuable life lessons to bring out only the best in my children! 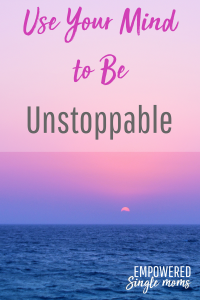 Get your FREE COPY of Introducing the Unstoppable Single Mom!